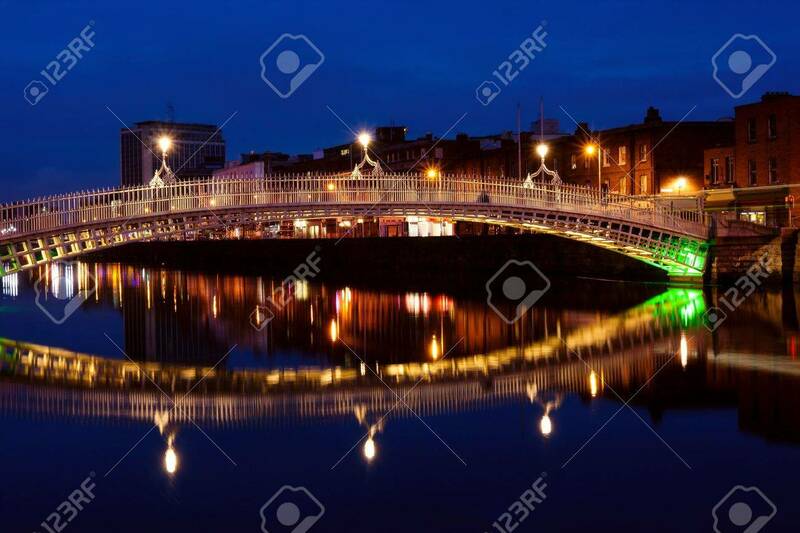 Ha'penny Bridge Over Liffey River In Dublin. Ireland Stock Photo, Picture And Royalty Free Image. Image 8810049.